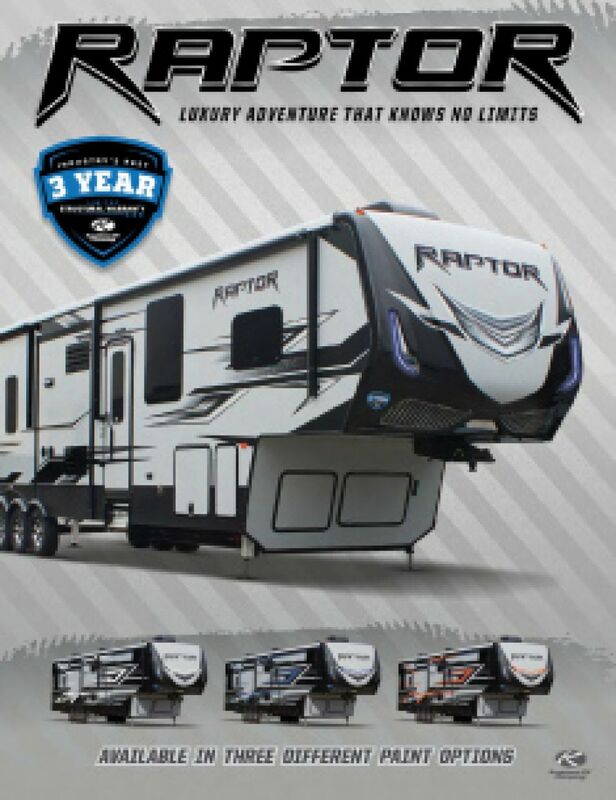 You'll love each and every moment in the 2018 Keystone Raptor 398TS 5th Wheel Toy Hauler! At National RV Detroit, we've been one of Michigan's top RV dealerships for over a decade! 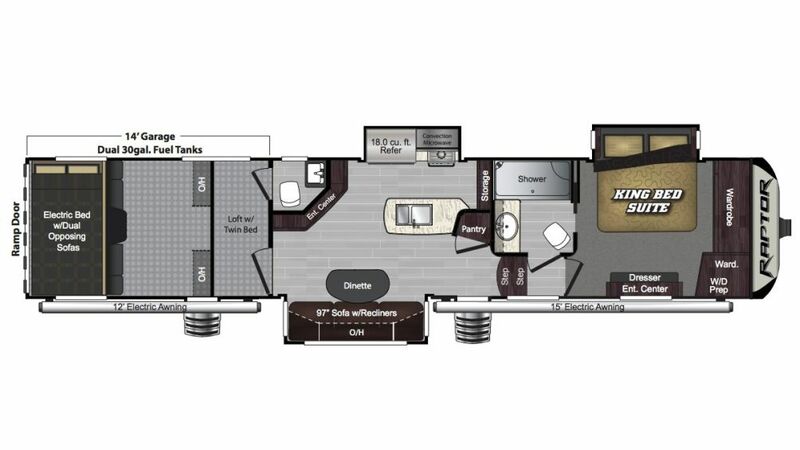 We sell the top brands in the world at wholesale prices, and we specialize in helping our customers find the RV of their dreams - like the 2018 Keystone Raptor 398TS! 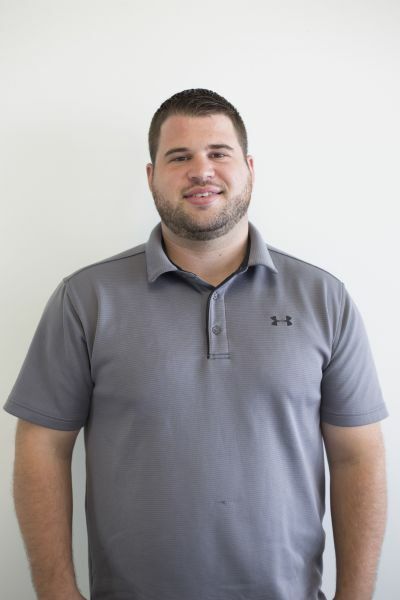 We've got the nation's best price guarantee, so come in today and let our friendly, professional staff help you find the perfect RV for your family! We're conveniently located at 44700 N I 94 Service Dr Belleville Michigan 48111, and we look forward to serving you! We also have personalized phone and internet service, and fast, 24/7 delivery anywhere in North America! So no matter where you live, we can still help you find your dream RV at a dream price and deliver it right to your door fast! Call us today at 734-439-3400! The 2018 Keystone Raptor 398TS is built to tow and go whenever you are! It has a hitch weight of 3690 lbs. and a rugged GVWR of 19000 lbs. for years of fun on the road. The 15' 0" patio awning offers shade and UV protection for outdoor fun when you reach your campsite! Stretch out and enjoy the ample legroom inside this RV, which has a length of 42' 1", width of 8' 4", and a height of 13' 6", as well as 3 slides! The 35000 BTU furnace and the 15000 BTU a/c keep the interior nice and comfortable! Families love traveling in this comfy camper, as it has enough sleeping accommodations for up to 6 people! You and your favorite travel buddy will sleep especially well in the master bedroom, with its snug and spacious King bed! Store all of your fresh food in the reliable 18.00 cu. ft. refrigerator! You'll also find a sink, a 3 burner range cooktop, and other modern cooking appliances in the kitchen! The 110 gallon fresh water tank ensures that you'll have clean drinking water for the entirety of your stay! In the past, did you miss leisurely, hot showers when you were on the road? Or did you have to make that tedious trek through the campground to the cold, damp, messy community bathroom and then wait in line if you wanted a shower? There's good news for you when you camp in the Keystone Raptor 398TS! It boasts a bathroom with a roomy shower as well as a handy Porcelain Foot Flush toilet! Comfort, convenience, and privacy, with plenty of clean, hot water thanks to the 110 gallon freshwater tank and 60 lbs. of LP tank capacity! Dirty water and waste are stored in the 82 gallon gray water tank and the 44 gallon black water tank, respectively. There is a big 14' 0" long garage with this toy hauler, and it's perfect for shipping your favorite toys! With a cargo capacity of 3840 lbs, you can haul just about any toy! Camping with a large family? Give your guests or family members a good night's rest with the loft bed!